Only the best will do for the most elegant beach resort in France! Indulge your sweet tooth with a minimalist macaron or an elaborate gourmet confection from one of these best-loved dessert spots in Le Touquet. This is dessert central, with a PhD in macarons. Their out-there creations include the Pop, with a sparkling champagne ganache, or the Olinda, with passionfruit and basil, or the Tomatine with, yes, tomato and white chocolate. And then there’s the individual-sized cakes, and the ‘travel’ cakes, and… it’s impossible to pick just one highlight here! 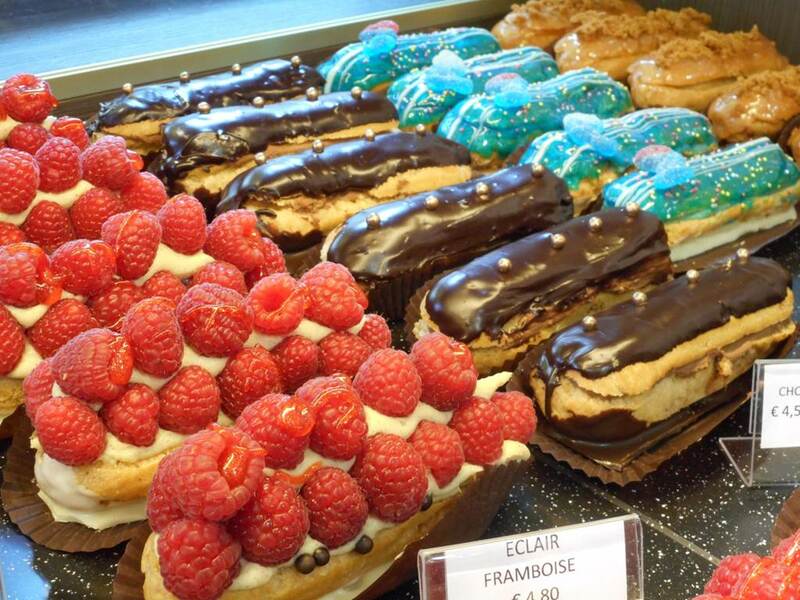 An éclair has been elevated to a work of art at Les Arts Gournamds. Chef pâtissier Serge creates 120 whimsical varieties and goes where the mood takes him, even changing the selection on the same day. There’s also a menu of over 100 macarons and artisanal meringues. If you see something you fancy, get it right then and there because that particular creation may no longer be available when you come back later… or ever! A veritable Touquetois institution with a cult following on the main pedestrian street Rue Saint-Jean, just steps away from the seafront. Aux Mignardises has an informal, no-need-to-try-too-hard atmosphere serving crêpes, waffles and ice-creams in a multitude of flavour combinations and toppings. Guaranteed to put a smile on your face, the fait maison ice cream at Kokoa is a rainbow of sweetness. The natural ingredients of the ice creams are married in imaginative pairings like Nutella-yoghurt or apricot-rhubarb. If the price seems a bit on the high side, wait till you see the size of the servings! Kokoa is open from 10 am to midnight in the peak season in July and August. Elizabeth’s is an English-style pattiserie and tea room with addresses in Lille and Le Touquet. Regulars rave about the apple pie and cupcakes.